Sabah has always been known for its stunning landscape which makes the perfect location for sporting events that appeal to outdoor-loving athletes and tourists alike. Here are three exhilarating ones to look out for in May! Organised by Kinabalu Yacht Club, the annual Harvest Festival & Sabah Fest Open Day Regatta makes its 32nd comeback this year. 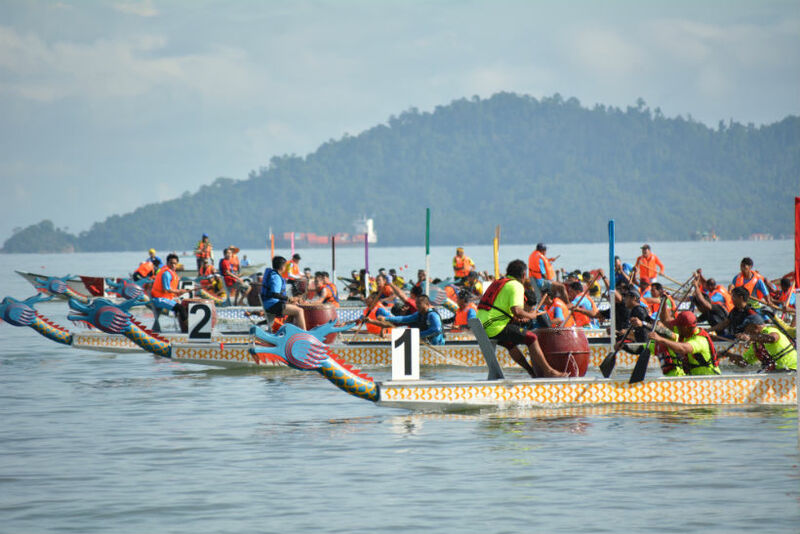 The sailing event is held in conjunction with Ka’amatan, a harvest festival celebrated by the Kadazandusun ethnic group throughout Sabah. Being one of the region’s key sailing competitions, the regatta receives great response from novice and professional participants representing yacht clubs and sailing associations from different parts of the state. 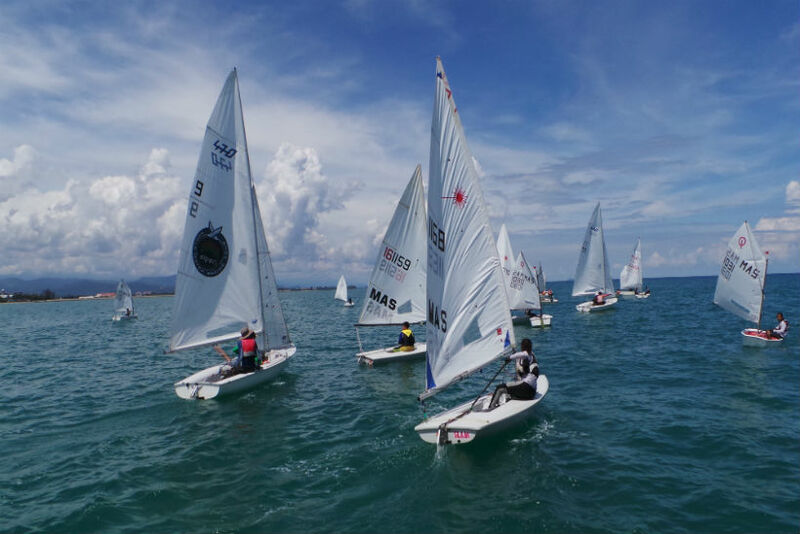 All eyes will be on the sailors from the Sabah Sailing Association as they brought home most of the overall titles in the series and marathon categories last year. The first Borneo International Marathon was held in 2008 with only 529 participants. The marathon today is Sabah’s biggest road race event, attracting runners from both East and West Malaysia, as well as running enthusiasts from different countries. 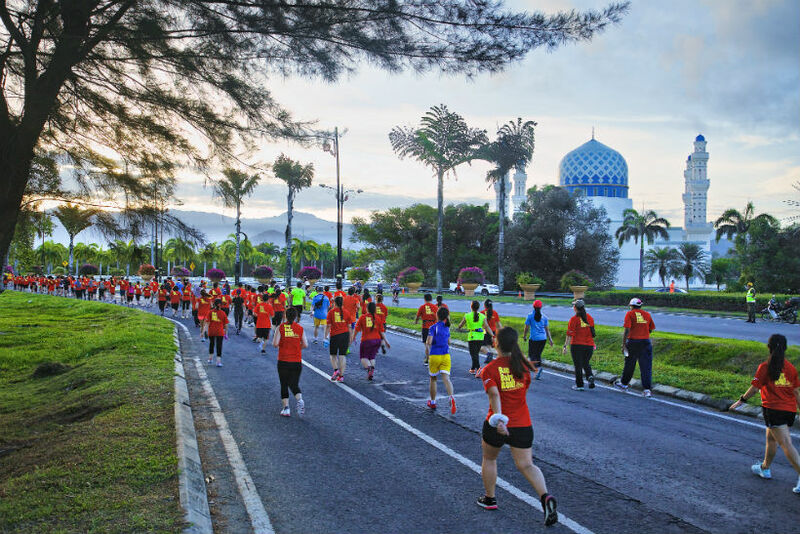 The full (42km), half (21km) and 10km marathons take runners on a coastal roadtrip along the Jalan Tun Fuad Stephens highway which overlooks the South China Sea and provides a glimpse of Gaya Island not far away. As participants push through to the finish line, the eye-catching architecture of the City Mosque at the end makes all the effort worthwhile. The dragon boat race is traditionally held on the fifth day of the fifth lunar month of the Chinese calendar in celebration of the Duanwu or Dragon Boat Festival. The Federation of Chinese Associations Sabah continues this tradition, remembering the spirit of the dragon which emphasises on unity and the importance of teamwork. During the race, paddlers will be rowing to the rhythm of pounding drums which determine how fast they go. The nail-biting scene of teams trying to beat each other on vibrantly-coloured boats with ferocious dragon heads is enough to get your adrenaline pumping.